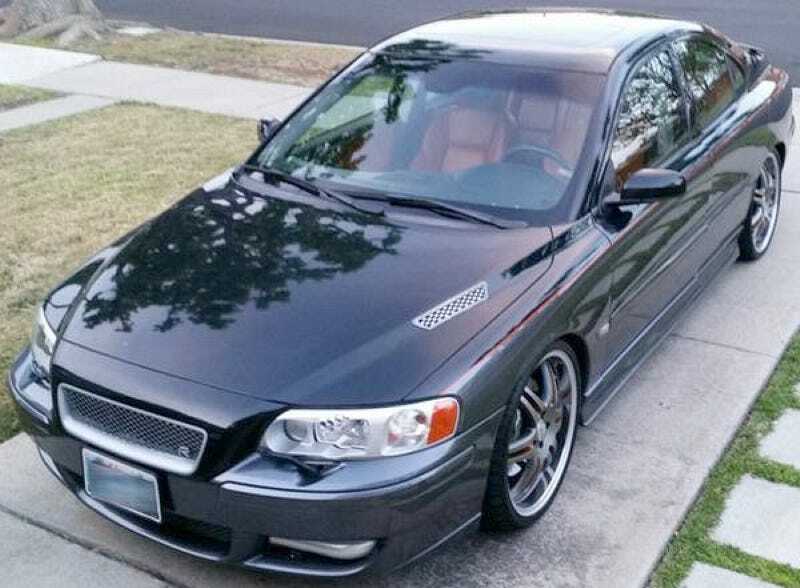 The ad for today's Nice Price or Crack Pipe custom Volvo S60R claims the reason for the sale is because the present owner has a kid on the way. You'll need to decide if it's bespoke appearance and its price will have you saying ooh baby! With its mix of Tonka Toy and fire truck looks, there was no way that yesterday's 1965 Jeep FC170 wasn't going to get everyone's inner child giggling uncontrollably. As it turned out, those inner kids also thought it was priced nice, and the truck came away with a solid 88% win. Of course, what do kids know? They might know that when Volvo went from boxy to bodacious, they didn't give up on making cars that were a Swedish meat ball to drive. A fine example of that is this 2006 S60R, which has also been given some cool mods to make even further stand out from the crowd. In Volvo speak, the S in S60 stands for sedan while the 60 indicates this to be a mid-sizer, falling between the 30/40 and 80 cars. The R? Well, that means the car is a pirate. Arr, mateys. Actually, the S60R was Volvo's M3. The cars featured a 296-bhp turbocharged B5254T-2 five-pot and originally a choice of 5-speed auto or 6-cog stick. in 2006 the auto was upgraded to an Asin 6-speed box. A 90/10 Haldex all-wheel-drive puts the power to the pavement, while huge Brembo 4-piston brakes reined it in. This custom 2006 edition claims closer to 400-ponies from its pressurized five, which is owed to a bigger intercooler, remapped chip, a cold air intake and - this might be a deal killer - an exhaust system that seems to omit that golden ticket to registration, the catalytic convertor. The car seems to be currently tagged in California, but I think there'd need to be discussion as to the legality of some of the car's mechanical mods. There' plenty to talk about when it comes to the car's looks too. The paint is a custom two-tone job- black over grey, and the lines have been smoothed by the elimination of the door handles and the painting of the tail lights. Humungous 20" SSW Eclipse wheels are wrapped in what are claimed to be brand new rubber bands. On to the interior and, well, it's orange. One of the S60R's defining options was the Atacama leather interior which offered the look an feel of a yet to be broken in baseball glove. The seller says it's all in good shape, but doesn't provide much in the way of interior photography. There is a hard-wired radar detector integrated in the dash, which hopefully has an off switch for places like Virginia, and a couple of added gauges. This car is an automatic - sorry haters - and rocks but 41,000 on the clock. I think that this is an extremely polarizing car. The base S60R is wicked cool enough as it is, and this one's low miles make it additionally intriguing. The mods however, especially that business about the 'catless down pipe' may make it dear to the builder's heart, but few others. That's why we're here, to decide for the seller if his $15,000 price tag matches his custom car. Based on the car's description, what's your take on someone paying fifteen large for this custom Volvo? Do you see that as a deal? Or is this S60's seller trying to drive an R'd bargain? Ventura Craigslist, or go here if the ad disappears.